Jakarta is the second-largest city in the world. Its vertiginous growth feeds massive real estate expansion and the construction of water management infrastructure of unprecedented size and cost. These developments result in the expulsion and impoverishment of local communities, and anti-poverty activists are reclaiming data, big and small, as a resource to fight against the evictions of informal settlements in the urban core. 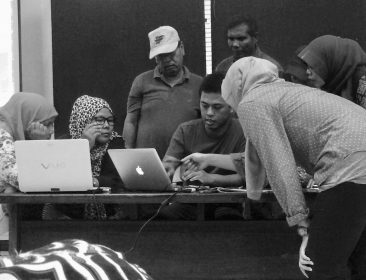 My fieldwork and participation in a co-design project with Jakarta’s Urban Poor Consortium (UPC) reveal activist practices that challenge aggressive urban planning with alternative data and models for sustainable design and climate adaptation. UPC’s work rearranges the relations between data, material structures and bodies, and reveals new potential for resistance in the Asian megacity and beyond. At the same time, their struggle leads us to reconsider the currency of shorthand labels like neoliberalism and of traditional notions of agency to grasp the intensification of forces and powers that social movements confront today. Alessandra Renzi is Associate Professor in Communication Studies at Concordia University where she explores the relays between media, art and activism through ethnographic studies and practice-led co-research. She is the author of Repurposing Media: Telestreet, Connective Activism and the Recomposition of Struggle, a book on Italian pirate television and emerging forms of media activism before and after social media (forthcoming with University of Minnesota Press). Alessandra’s current research examines how data infrastructures support emergent forms of grassroots organizing. Her recent fieldwork has taken place in Indonesia, where she has been exploring collaborative data production for environmental and housing justice with local activist groups. Alessandra is co-PI of Art of The March, an interactive archive and visualization platform of protest signs collected after the 2017 Boston Women March (artofthemarch.boston). 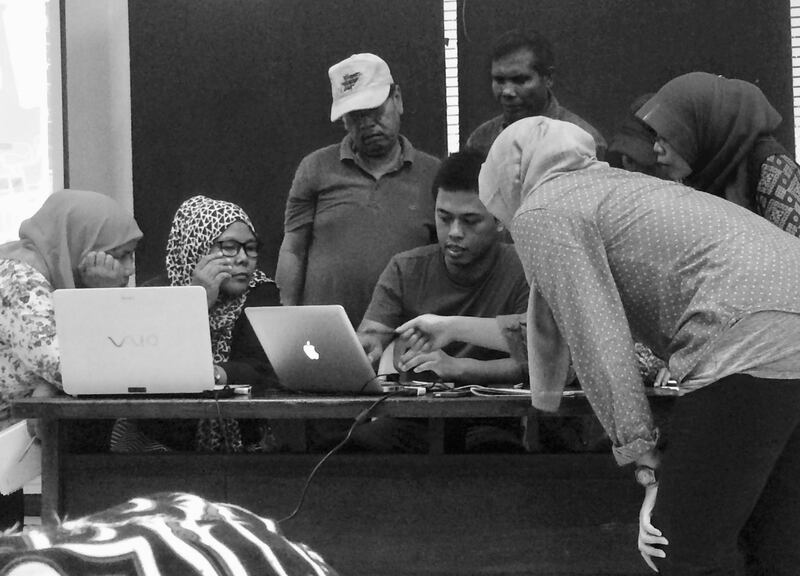 Image credit: Community organizers examine zoning and eviction data at a consultation meeting in Jakarta (Alessandra Renzi, 2016).